When it comes to traveling (and life, in general), I have to stay organized. Everything is folded, rolled, tucked, and compartmentalized to the extreme. 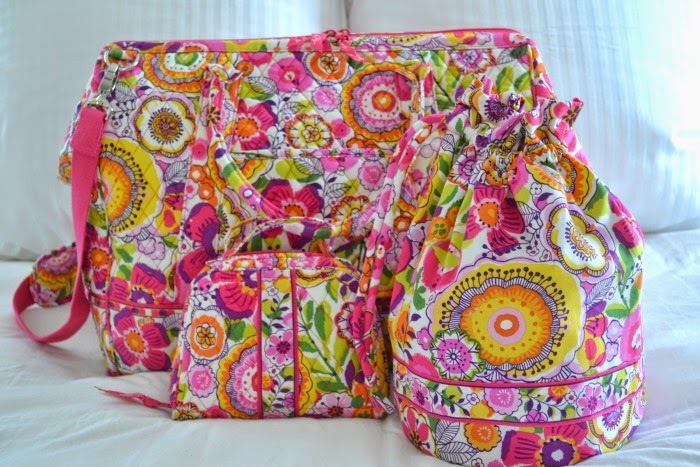 Just another reason that Vera Bradley is my luggage brand soul sister - is that a thing?! Don't care, it's true! This company, as I mentioned in this post, thinks of everything and creates pieces that exceed every expectation. 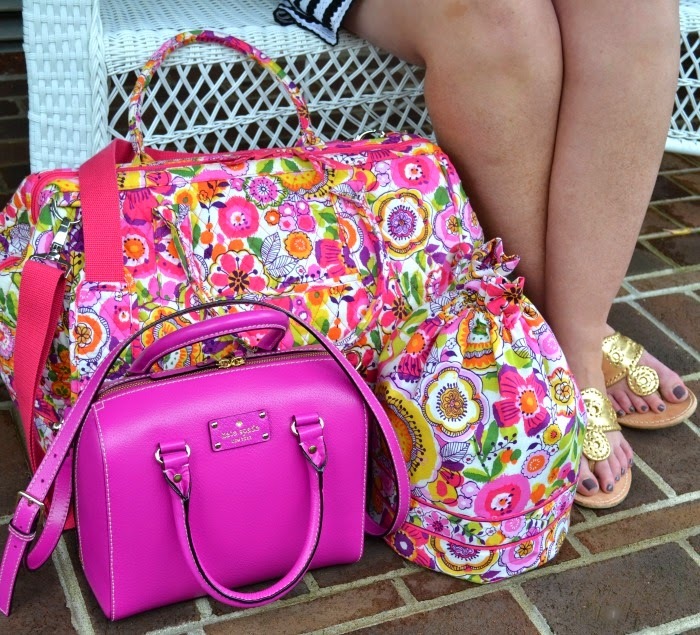 I've been traveling with Vera Bradley luggage since I was in high school and have never found a brand that I love more. I visited my parents over Labor Day weekend to celebrate my mom's birthday and get in one final getaway of the summer. 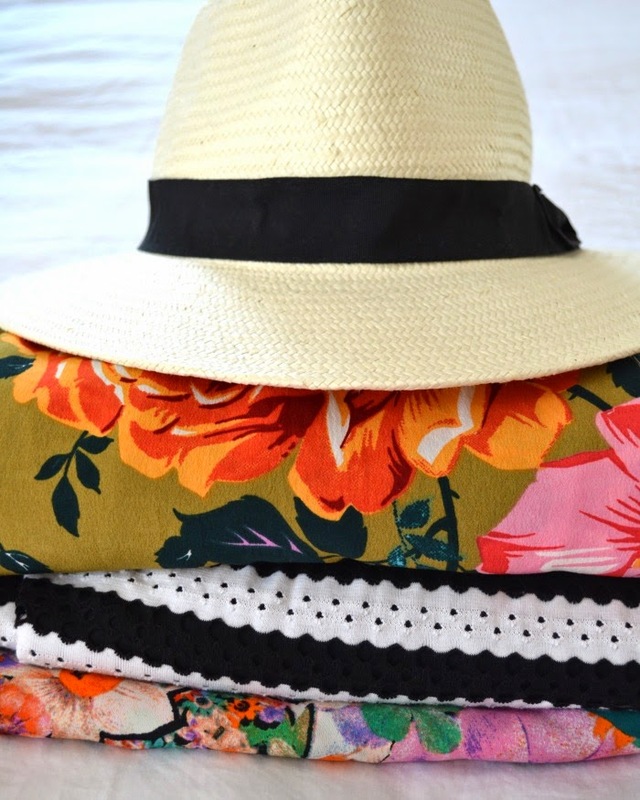 Of course, these pieces were packed to the brim with sundresses and sandals! The Frame Travel Bag is the perfect size for an overnighter, with tons of pockets for keeping everything organized. The two travel accessories that I used were the Jewelry Organizer and the Ditty Bag (see pictures of both below). 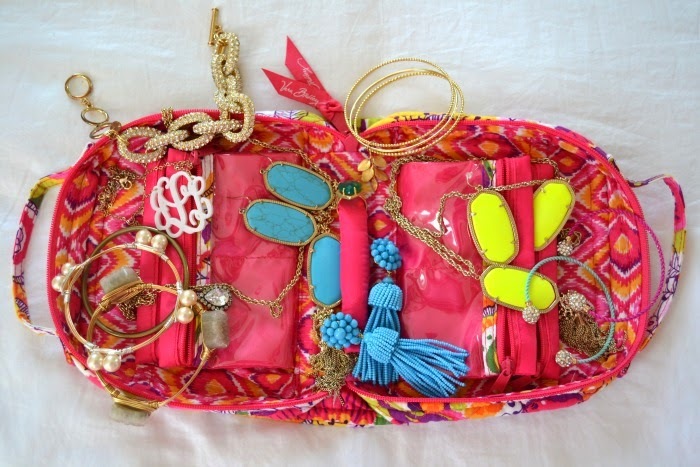 The Jewelry Organizer features a fold open design with see-through compartments, pockets, and a ring strap in the middle. Finally, the champion of every trip I take is my Ditty Bag. It's fully lined in plastic, drawstrings at the top, and will (literally) expand to fit every toiletry under the sun! 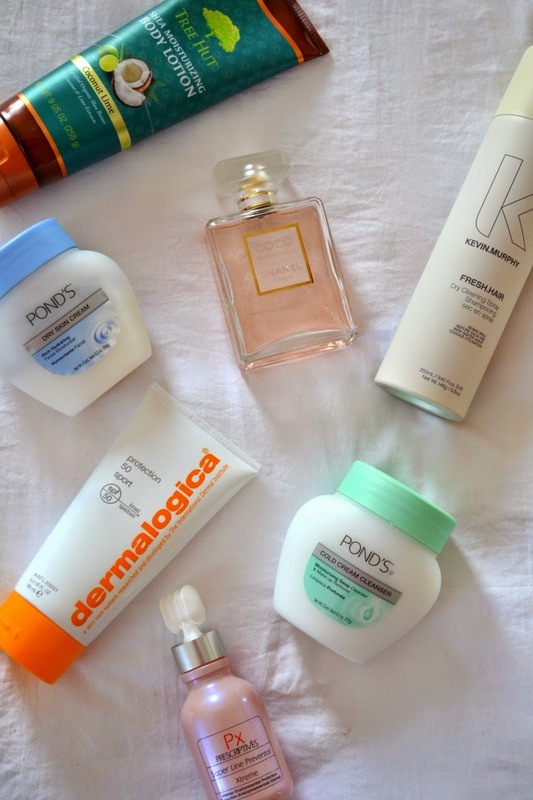 See more pics of what I packed for the weekend and get details below! 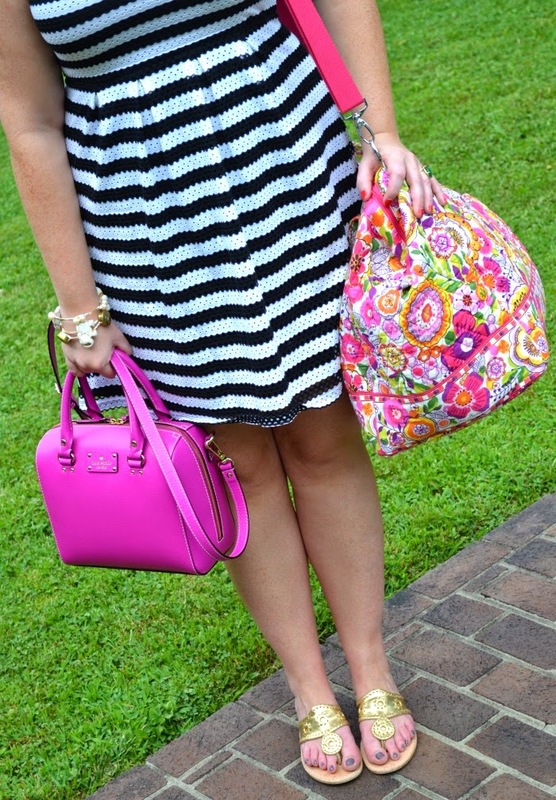 Disclosure: This post is sponsored by Vera Bradley in collaboraton with Adorn Media. All opinions are my own. 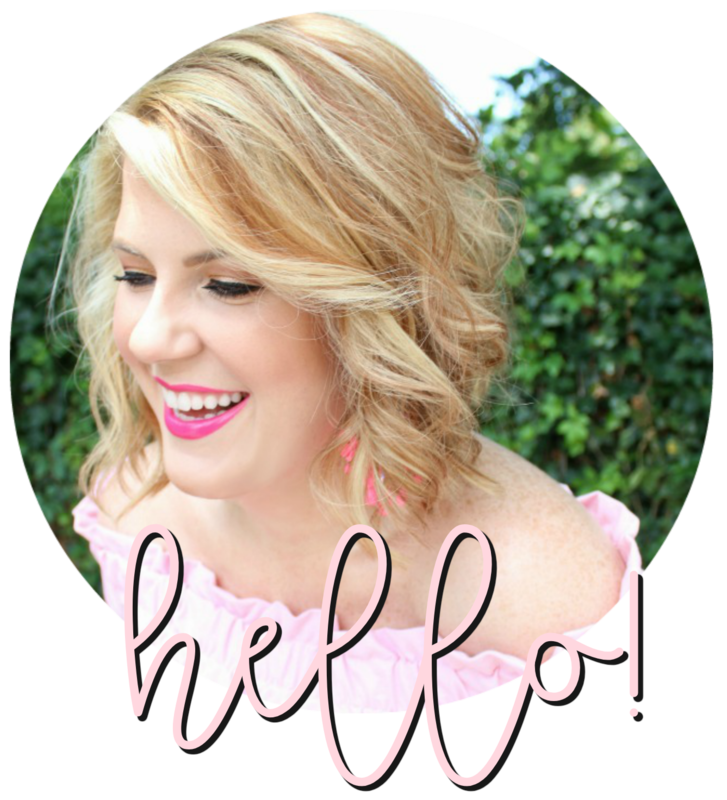 Vera Bradley is a company that I truly love - I strive to collaborate with only brands and companies that are a genuine, authentic match with my blog.